I explored this concept of close reading a couple of years ago in ASCD Express, titled “Reading Like a Leader”. You can see from the image shared within the article that what our leadership team read was covered in highlights and annotations. This worked for us, because we passed around one article and relied on asynchronous dialogue for learning. But what about when it is just you and the author, mano a mano? Should learners highlight anything and everything relevant to their purpose for reading? This has been a very ineffective strategy for me. When gathering information for my first book, there wasn’t a detail that I did not like. There are entire pages in some of the resources I explored where there is literally more text highlighted and annotated on a page than text left alone. Yet when I tried to apply said knowledge to my book, I found myself going back to those same passages I had so diligently marked up and ended up more confused. My additions to the text were really subtractions to my understanding. I was distracted by my contributions, because they interfered with my comprehension. I have learned my lesson, so to speak. In my current writing project, I am eschewing all of my previous attempts to “cite specific textual evidence” and to “determine what the text says explicitly”. Instead, I am trying to have a conversation with the author as I read. One thing that has helped me is using Thin Strip Post-it notes. If I find a passage in a text I want to remember, I place the note next to the passage and write either a question or a statement on it. The question is sincere; it is more of a wondering than anything. When writing a statement, I am trying to come up with a sentence that could surround that passage or quote, as a way to summarize it or transition toward it within my own writing. Whenever we add something to our plates, something else is pushed off. I cannot say for certain if this passage from the text will be a part of the final draft for my project. What Turkle shares is profound, but it may not be applicable. This is one of the challenges of close reading – learners assume that whatever they highlight and annotate must be regurgitated verbatim in their written responses to the text. I know this, because it took me a whole book to realize it. I hope today’s students are faster learners than I am. What I am doing with the above example is not documenting my learning, but rather holding on to a new idea. By responding to the text in my own words, I think I am more likely to come back to the reading and response as I am writing. This is how a conversation works: A back-and-forth discussion around topics that are important to both the author and the reader. I have devoted meaning to my responses, instead of assuming that the text will just naturally mean something to me. I am reading this book because I care about the topics and find the text both informative and entertaining. There is purpose in my Post-its that extends beyond the room to write my thoughts down. By not highlighting and annotating the text itself, I am not smothering the author’s writing with potential distractions for me as the reader. If I want to reread the passage that I responded to, I am now forced to reading a paragraph or two to locate it. Subsequently, I am revisiting the context in which I found the original passage that struck me as important. In other books I have read for informational purposes, I have been gone as far as simply leaving an asterisk next to the passage I found important, with no response. My thinking might change when I came back to it. As the title states, close reading is a conversation. It is not extracting every essential bit of information from a text, like you were squeezing a lemon to make lemonade. Reading a text closely is about determining why you want to read a text, evaluating whether the text before you is worth your time, and then finding evidence within the text to hold onto for future reference. It is a partnership in understanding and appreciation between the writer and the reader. Anything less is a recipe for reducing engagement in meaningful inquiries. 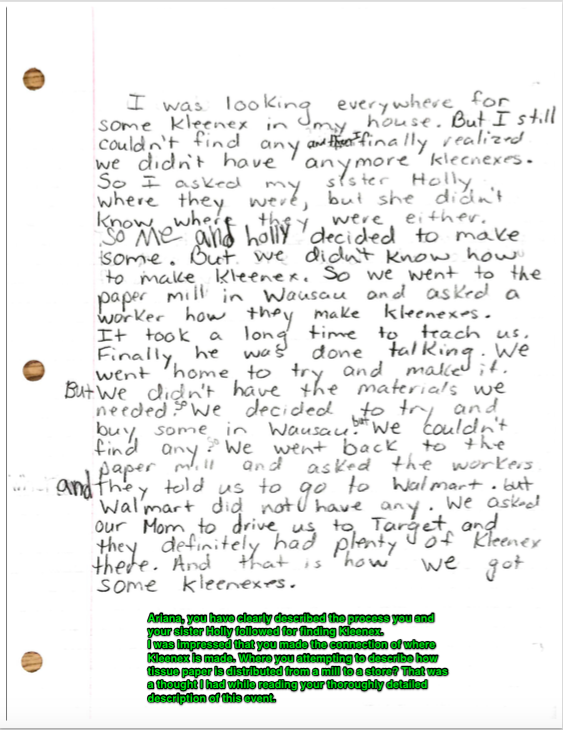 This review is by Brendan and Finn, 2nd grade students in Mrs. Akey’s classroom at Howe Elementary School, Wisconsin Rapids, Wisconsin. The Tom Gates series is totally amazing. It is one of our favorites. The drawings are good and there are tons of funny parts. 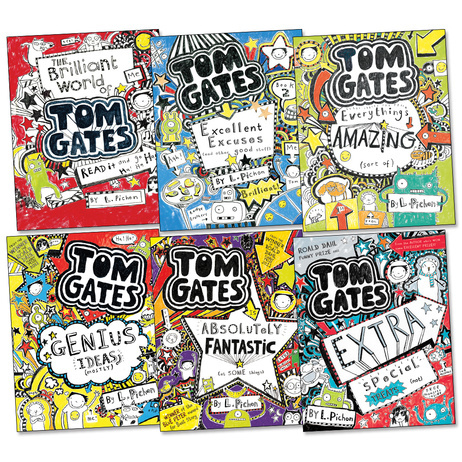 The books were amazing because there were many things that happened to Tom Gates that seemed unbelievable. For example, he saw his teacher, Mr. Fullerman, outside of school at a concert … and he was wearing LEATHER pants! Wow!!! The books were full of funny events, like the time Tom had to wear his friend, Derek’s, swimming trunks. The funny thing was that the swimming trunks had teddy bears on them, and they looked like Derek had worn them when he was four years old! Way too small!!! The drawings in the books are great! We liked that they are pictures that we could draw ourselves. It actually looked like a kid drew them! There are also A LOT of drawings on each page. Most of them have some sort of label, and that makes the books easier to understand. No discipline has experienced a greater impact from technology than writing. Blogs, tweets, multimedia timelines, posts, texts…all of these short forms of writing have come about through new digital mediums. Classrooms that adopt these tools during literacy and content instruction are providing learners with more ways to express their thinking and convey information more creatively. I could not imagine schools without them. Once they are embedded in practice, the next logical step as a teacher is to ask: How can I provide feedback for students through these mediums so their writing improves, as well as to celebrate their work? Here are three ideas. Recently I have received invitations from our 4th and 5th graders to comment on their writing via Google Docs and Slides. I really like the Comments and Suggestions features. Located at the top right of the file, you can highlight a section of the text and provide feedback for the owner. What the students have shared with me so far are finished products. Therefore, I have made general observations and asked thought-provoking questions to let them know that I read their work carefully and valued their effort. For younger students without a lot of experience in digital writing, transcribing what they write down on paper and posting it on a blog is a great way to model the writing process. For example, my son and a friend gave me a handwritten review of the Tom Gates series by Liz Pichon. I typed up their thoughts, saved the post as a draft, and then emailed their teacher with specific questions about the books they read. 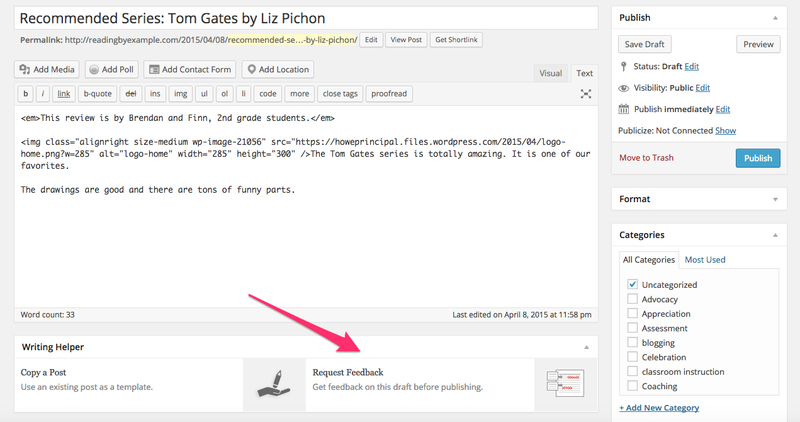 This feedback request was done through WordPress, my favorite blogging platform (see arrow). I actually sent the request to their teacher, who will hopefully help them write a bit more about why the Tom Gates series is such a good one to read. I was on a mission to a classroom when a 4th grade student asked me to read her writing in the hallway. How could I say no? I compromised by taking out my smartphone and scanning an image of her writing with Evernote. This student’s writing was then saved as a note in her teacher’s professional portfolio, which I keep for all of my staff. When I had time to sit down later, I opened up her note. Having downloaded Skitch, a native Evernote application, I was able to annotate right on her scanned work. This was also a finished piece of writing, so I celebrated what she did well and offered my thinking on possible ideas to consider for the future. This updated note was emailed to her teacher. What digital tools do you find effective for offering feedback for the author(s)? How do you use them? Please share in the comments. Do you know how I know my son read his book? He was asking about the next book in the series before he was halfway through the first one. The thickness of his book doubled while reading it, due to spilling his drink on the pages while eating and reading. Creases regularly appeared on the spine of his book while reading it. The book’s covers were bent because he fell asleep on top of his book one night while reading. 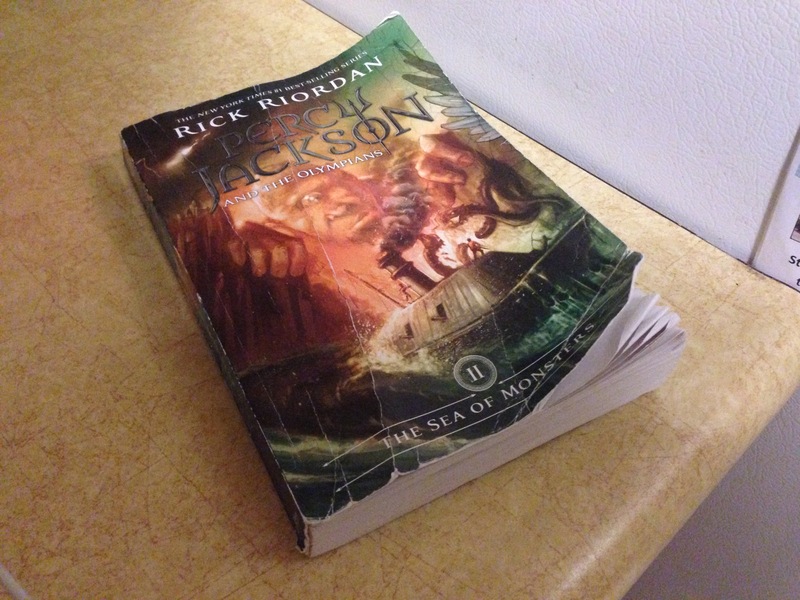 The book’s corners were frayed because my son shoved his book in his backpack every morning. My son wanted to watch the movie about his book before he was finished. His classmates wanted to read his book once he finished, after seeing him immersed in it. My son continued to think and talk about his book, long after he finished it. My son can identify a related series to his book that he might want to read next. My son’s love for reading increased after reading his book. Author Matt RenwickPosted on March 19, 2015 Categories LiteracyTags authentic assessment, engagement3 Comments on Do you know how I know my son read his book? At only 65 pages, I was surprised at how rich this book was in research and strategies for stemming summer reading loss. 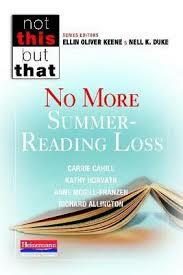 Cahill and Horvath start this text by asserting that “the lack of summer reading is actually a reflection of how well we have taught them to be independent readers during the school year” (4). They follow up this provocative statement with why it is just not conducive to try requiring dormant readers to engage in literature without considering their interests. Motivation is the key. McGill-Franzen and Allington share the research on motivation and engagement in the next chapter. They frequently highlight the power of having choice and access to high-interest books, both during the school year and over the summer. Maybe the most surprising fact to me was, when schools just give kids free books of their choice over summer, the effect is just as powerful as most summer school programs (and at a fraction of the cost). Cahill and Horvath round out the text with some practical and economic ideas for facilitating summer reading projects. The use of online tools, such as blogs and literacy-focused websites, were especially intriguing to me. While it is only January as I write this, I thought it is well worth my time to have read this text now and prepare for the reading possibilities in the future.